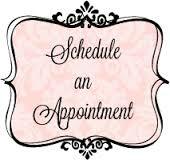 I would like to have an appointment to meet ….. I am sure that I will come at ….. It will be fine if we meet on …. B : Good morning, I would like to make an appointment to see Dr. Beniqno, please. A : Who is the speaking now? A : The doctor is in his practicing office with his patient. Please wait for a few minutes. Please take a seat. Where does the conversation happen? When does the conversation happen? B : Hello, who is speaking? B : What can I do for you? A : I will be there for your barber shop. Are you there at 10 a.m? When will the caller come to the barbershop? A : Have you finished reading my novel? Who does come to return the novel? Has she returned the novel? A : Is there any to find? A : Let me check your receipt of the payment. Why does he come there? Is there any headset in the box? What does the seller do to the buyer? What will son want from his mom? What kind of subject is his student sheet? Did he get a good score?